He soon fell in love with the area and its wealth of fresh local produce. So he made the move from London with his partner Sally, but they sorely missed their local source of handmade speciality bread. Which is why they decided to start their own specialist bakery, and in February 2008 Pye Baker of Norwich began baking Artisan bread developed from his own recipes. Pye originates from the old English spelling of ‘pie’ and traditionally, under the ‘Norwich Charter’ the local baker had to bake a Yarmouth Pye as a tax or levy to the King. ‘Grimsby’ is a huge fan of cooking history, so Pye Baker of Norwich seemed the perfect choice! 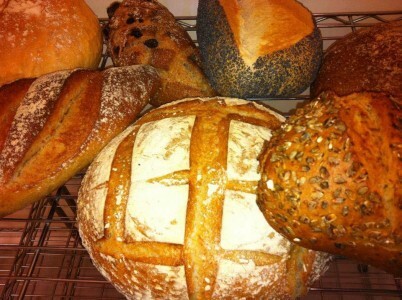 They now supply their freshly baked products to restaurants, shops and deli’s throughout Norfolk and North Suffolk, as well as selling at local farmers markets and through their own Bakery shop.